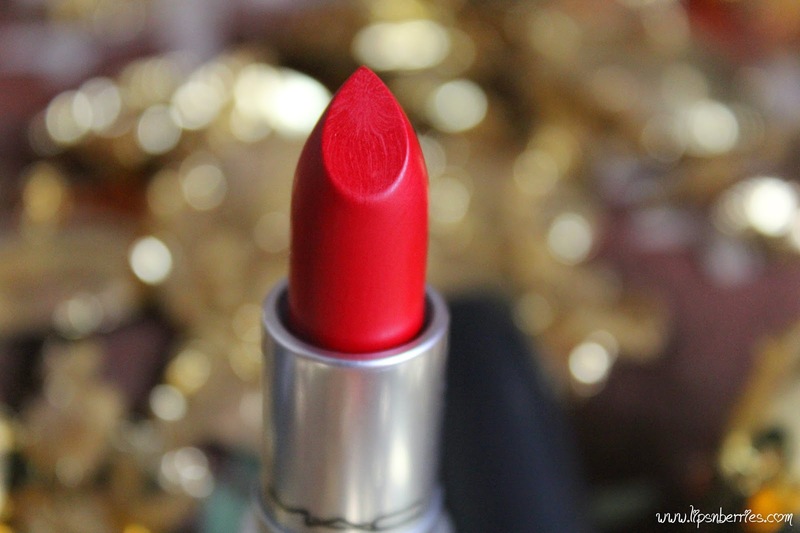 MAC Ruby Woo - My Wedding RED! Review+ FOTD | LIPS n BERRIES! 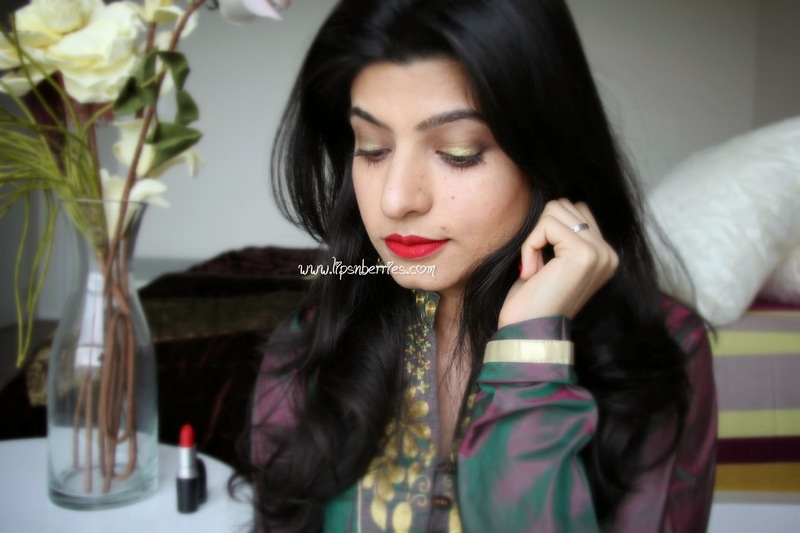 I haven't done a lipstick post in ages..so it's high time! 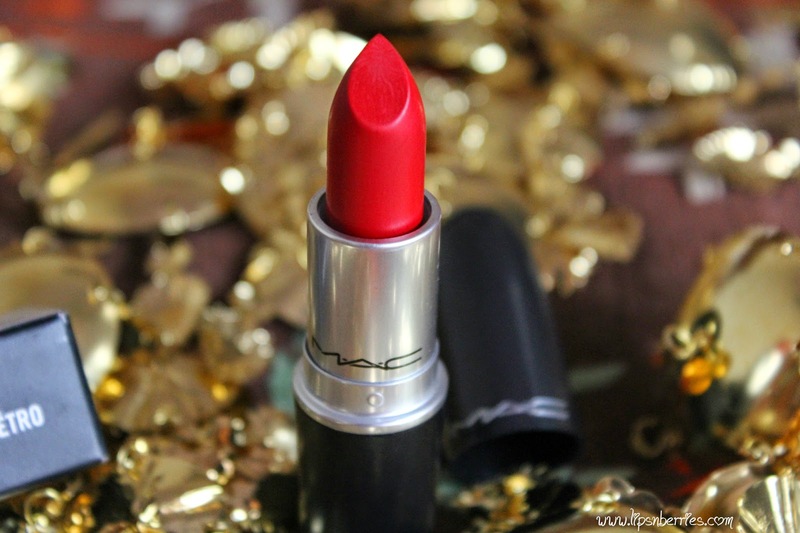 What better way to celebrate lipsticks than introducing y'all to my absolute fav, the fool proof, the ever so classic, the legendary, MAC's RUBY WOO! This is the stuff dreams are made of. I don't believe you know a thing or two about lipsticks and haven't heard of Ruby Woo. Hell this made MAC famous...ummm...may be it was the eyeshadows? I've had it in my wishlist since forever. Never bought coz of the secret pact I had with myself... This had to be ticked off the list during my wedding trousseau shopping, whenever that happened so I waited years. I don't know why but Ruby Woo just screamed weddings to me- Opulent, elegant, bold and Classic! So as soon as my wedding shopping kicked off Dec last year, this was the first thing in cart. Ruby Woo was to be my wedding red if I had done the makeup myself. I didn't. My makeup artist did an ombre lip on me which was pretty too. 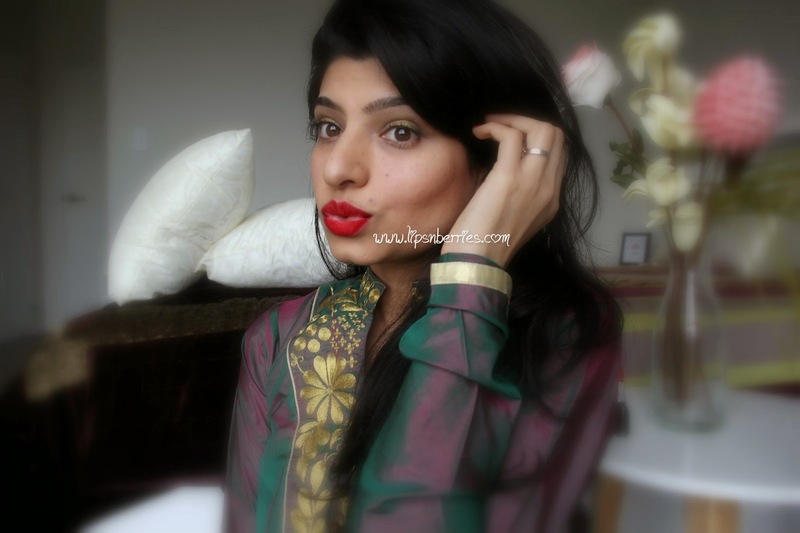 So I had Ruby Woo on the day before wedding (Lady Sangeet and other ceremonies!) and the day after the Wedding (more rituals). That pretty much covered it. I was stoked! This was more like a ritual to me. See you can have relationship with a lipstick. I'm VAIN like that!! I don't think I can call this a review as MAC lipsticks are top of the line so more or less perfect but we shall play the card anyway! 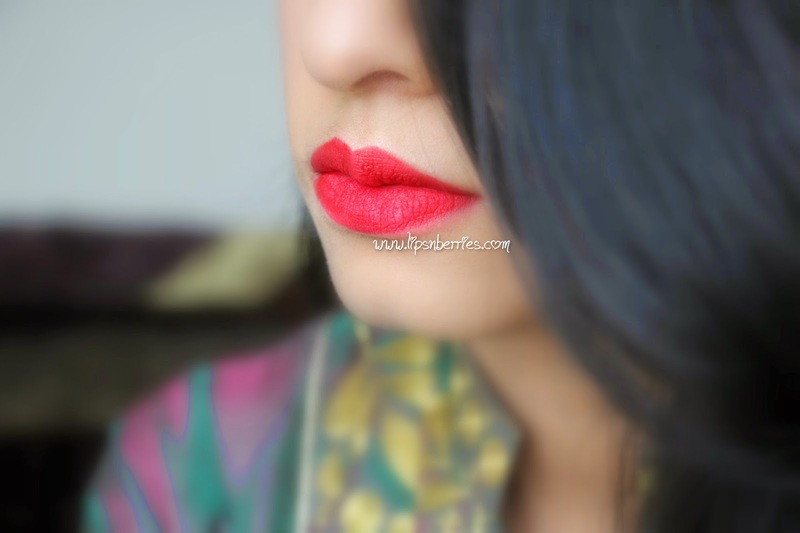 Ruby Woo is a universally flattering cool toned red. I've not come across a skin color it doesn't work on! 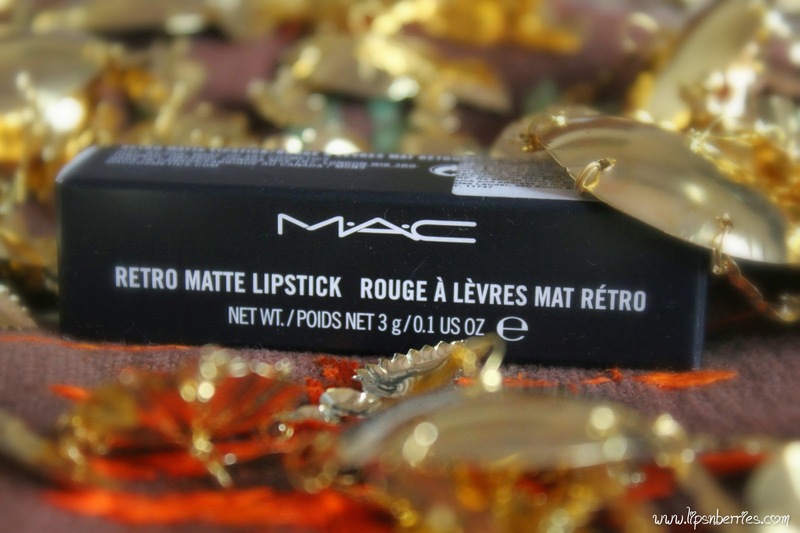 It's a retro matte described on MAC's website as "Very matte vivid blue red" so obviously it's matte, very matte. It's blue based red so the kind that makes your teeth whiter and face brighter even without makeup! Notice my lack of eyeliner in these pics. This takes all the attention and that's the way I prefer it! 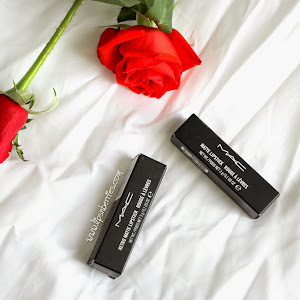 The packaging is standard MAC as it's part of permanent line. The black bullet is travel friendly. It's smells the same as all other MAC lipsticks- vanilla like! It's opaque in one swipe. As its really pigmented, I always use a lip liner underneath. Helps color to stay put and defines the lips perfectly. Who wouldn't fancy that enviable cupids bow? As its really really dry, I cannot just put this lipstick on a whim. Lips have to be prepped. I tend to scrub my lips a good few hours before application, douse them with thick lipbalm/MAC Prep n Prime and then apply a layer of lip liner, then lipstick, wait, blot, lipstick, wait, blot, lipstick, done! That sorts it out for the evening on me, about 6-7 hours usually. It's a really long wearing one! Leaves a heavy stain behind too. This is dry, very dry. That did put me off it initially as it was always extremely dry in testers at the store. You can hardly swatch it, let alone try on lips but because of my secret pact I had to buy it anyways! My brand new one is a lil better though. It still tugs my lips and you have to use a wee bit of pressure, in short, this doesn't glide like your normal lippy. I have dry skin in general so this needs a bit of forward planning for me. 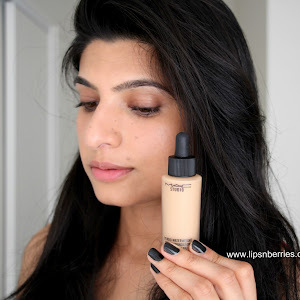 However, I swear by MAC Prep n Prime! That stuff is insanely good. I never have to worry about dry chapped lips anymore. It's a lip balm and primer rolled in one. Buy it! BUY IT! I wouldn't be without it ... Everrr! It's my fool-proof lipstick. When in doubt, wear RED! and a lil cat flick never hurt anyone! 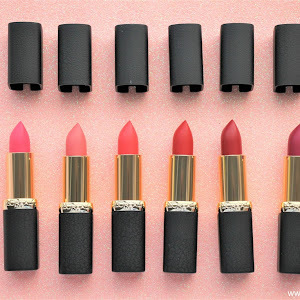 Whats your fav lipstick? Are you a red or a pink person? 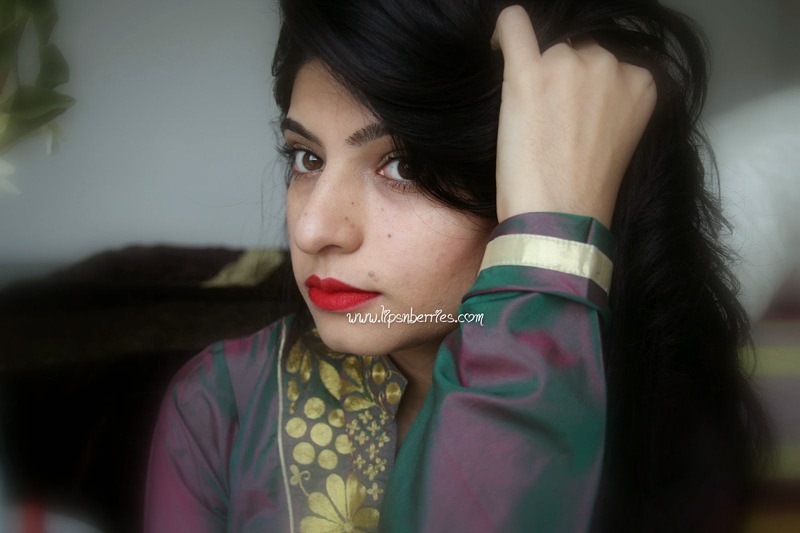 Another Red Lipstick wonder! 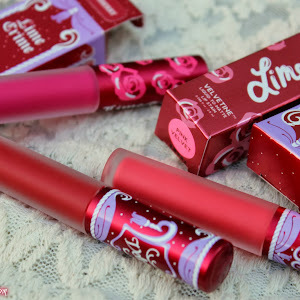 Lime Crime Velvetine in Red Velvet! That's a seriously gorgeous shade of red. I've been looking for a good red for a while - I've got yellow tones in my skin (thanks Sth Pacific) so this looks like it'd be heading in the right direction. Thanks for the tips re priming too! Hey Lisa... Looks like a you and me have similar undertones (Thanks Indian genes!). You are definitely heading in the right direction. 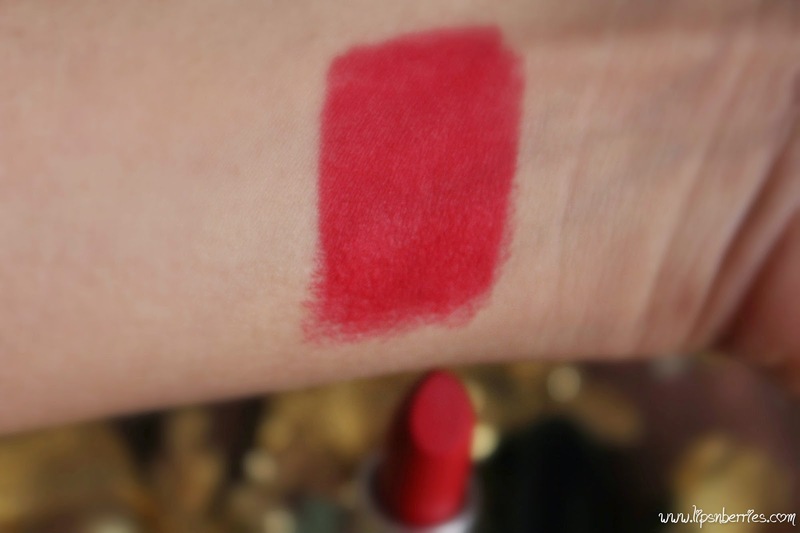 Ruby Woo is universally flattering and I'm damn sure you'll be a fan too. Yes RiriWoo is Ruby's sister... :) as the name suggests! Same surname..hahah! and Thank you! Lipidol After Shower Oil Review!